Looking for a qualified North Carolina Home Inspector? My name is Ken Sutton, and as a Certified Master Inspector, and owner of Advantage Inspection Services, I can assure you that you have to look no further for a comprehensive home inspection. Before you take that plunge, and make that closing date official, let me evaluate the condition of your home so you know what you're getting before you hand over that down payment. The standard home inspection includes an assessment of every major system in the home including the exterior, roof, attic, insulation, ventilation, plumbing, mechanical systems, heating/cooling, electrical, and foundation. 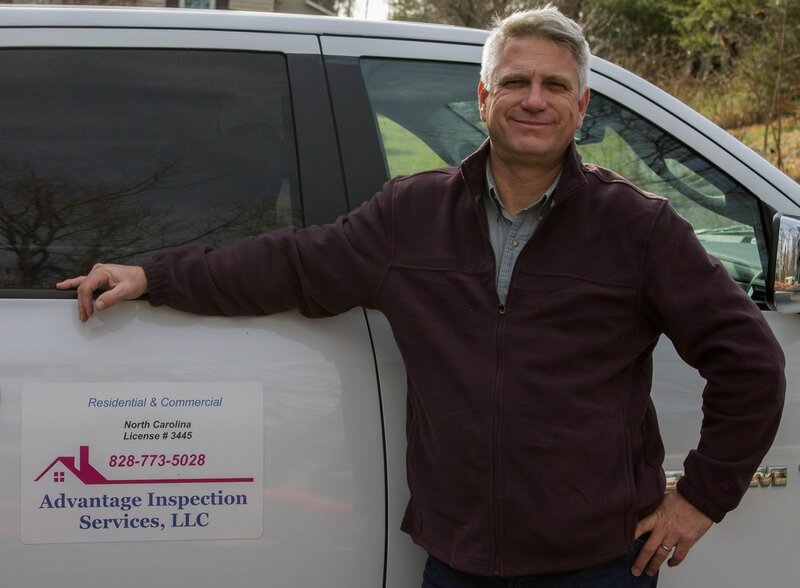 I am a North Carolina Licensed Home Inspector (license #3445) and member of the International Association of Certified Home Inspectors (InterNACHI). Each year I am required to complete a minimum of 15 hours of continuing education in order to stay abreast of the latest technologies available to home inspectors. For verification of my credentials, feel free to check out the Certified Master Inspector website, here. For reference, I'm located in Boone NC, 28607. To me, quality means taking time to carefully inspect all aspects of the home. In addition, a quality home inspector will take the time to describe these finding to their client. I will not rush any inspection. My average home inspection lasts between 3 and 4 hours. I am certain that you won't find a more thorough home inspector at a lower cost...that is the VALUE of an Advantage Inspection Service Inspection. Depending on the size of your home, inspections typically last between 3-4 hours. I will document and photograph defects and the general condition in a thorough, easy to understand, home inspection report. The report will be emailed within 1-2 days after the inspection. After inspection is complete, I will walk you through the property pointing out the critical areas identified in the report.